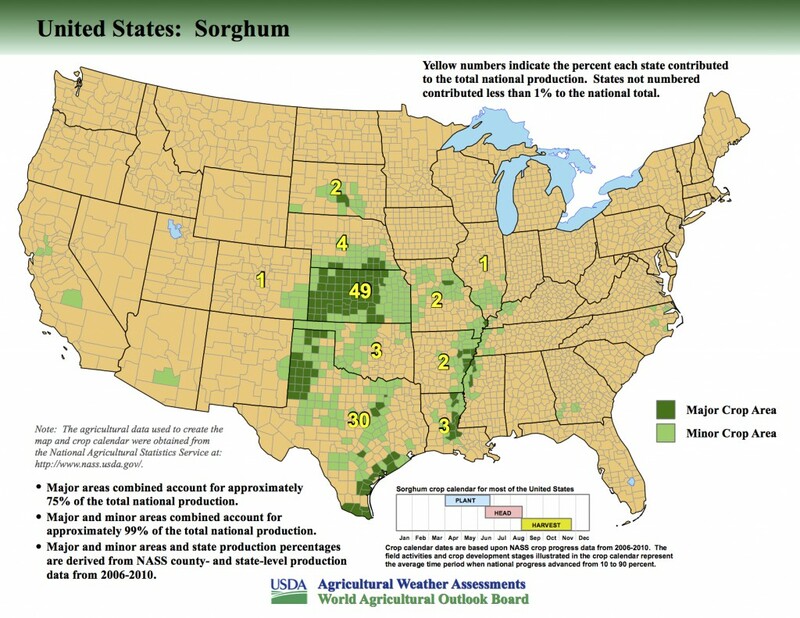 These maps were developed by the USDA World Agricultural Outlook Board through a contract with the George Mason University Environmental Science and Technology Center. PDF versions of these maps, and the MWCACP publication (1994 revised), are available here. Each week, Fill Your Plate will highlight a different crop or livestock raised in the United States. This week, we highlight sorghum. You can go to Fill Your Plate to see a list of Arizona farmers who grow and sell grains from sorghum. This entry was posted in Ag Facts, Focus on Agriculture and tagged Arizona, Fill Your Plate, grain, Major World Crop Areas And Climatic Profiles, sorghum, United States, United States Department of Agriculture. Bookmark the permalink.